WASHINGTON—Calling the $650 million project the “future of America’s pastoral waterways,” Secretary of the Interior Sally Jewell unveiled the agency’s plans for a new high-speed creek Thursday that would reportedly connect Weybridge, VT with the adjacent town of Addison. “When the new creek is completed in 2018, it will not only be the fastest tributary in the nation, but also a vital conduit for the quick and efficient transport of leaves, small sticks, and light sediment through the poorly drained western Vermont rural corridor,” said Jewell, who noted that the cutting-edge, streamlined creek would flow at nearly twice the rate of the nation’s network of outdated and meandering brooks. 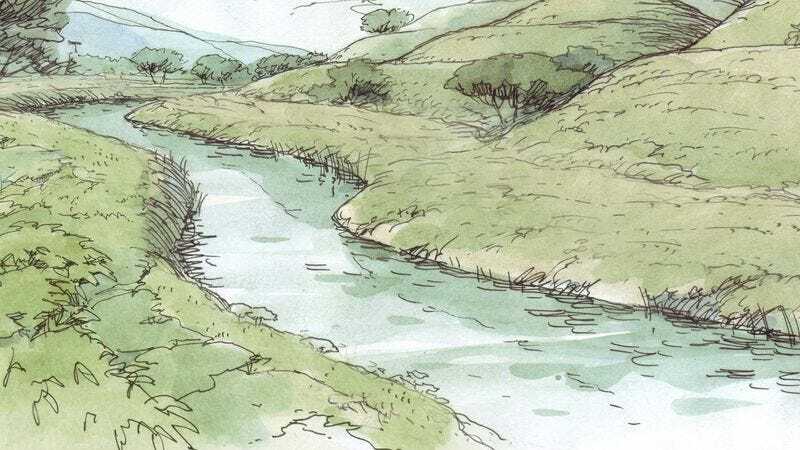 “With a span of nearly 8 feet between banks and water that’s upwards of knee-deep, this creek will be unlike anything you currently see crossing the country, and will all but eliminate the problem of fallen branch congestion. This is an important first step in catching up to the modern, ultra-fast creeks seen in highly advanced Asian countrysides.” While favored by the Obama administration, high-speed creeks have been criticized by a number of experts as poor investments better suited for the smaller backcountries of Europe and Japan, with many arguing that America’s abundance of vast open expanses meant the Interior Department should instead focus its energies on improving and facilitating the nation’s gusts.